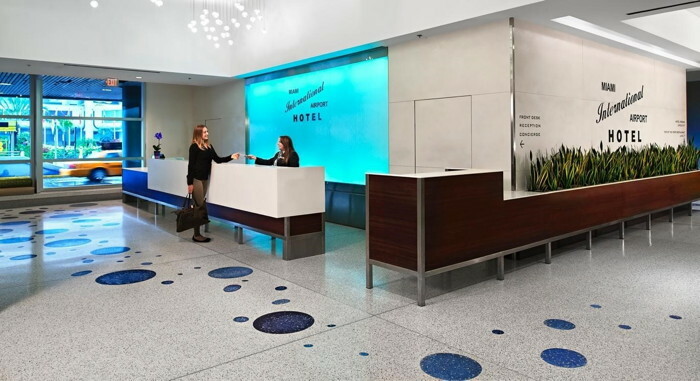 MCR is now managing the 259-room Miami International Airport Hotel. Located pre-security at the departures level of Concourse E, it is the only hotel at Miami International Airport, which serves more than 44 million passengers annually. In partnership with the Miami-Dade Aviation Department, MCR will deliver a first-class experience for guests on layovers and early birds eager to be one security check away from their gates. The company also aims to welcome travelers from around the world to MIA — the nation’s third-busiest airport for international passengers, offering more flights to Latin America and the Caribbean than any other United States airport. MCR landed the management contract through a competitive RFQ process with the Miami-Dade Aviation Department. The company will continue to fly high in the airport hotel sector, developing the 512-room TWA Hotel at John F. Kennedy International Airport scheduled to open in spring 2019. MCR has hired all current hotel employees and is committed to building strong relationships with local and airport-focused businesses including the Miami International Airport’s 64 passenger and 41 cargo airlines, aviation-related tenants and local, state and federal government partners. Are you with MCR Development? If you are a member of MCR Development you may be interested in learning how to optimize your content on our network.